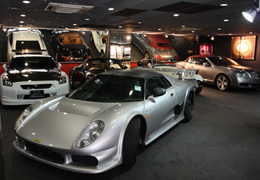 Since its inception in 2001, Eurospeed Auto has been one of the longest-lasting dealers of pre-owned cult/exotic cars in Singapore. 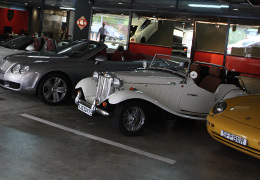 Proprietor, Stanley Ng, has grown the business from a corner unit at Marina South (in 2001) dealing mainly in Japanese performance cars into the sprawling one-stop shop for purveyors of fine and exotic automobiles. Stanley has not forsaken his roots, since today's business grew from his fascination with exotic vehicles both young and old; his eclectic taste in automobiles means that at any given time, his inventory includes the latest sports and luxury models from the major European and Japanese brands, as well as the quirky and the rare from a bygone era. 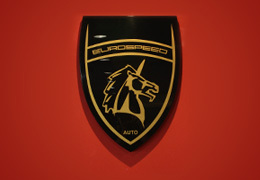 It's no big secret that the Eurospeed Auto business has given Stanley an outlet to store his collection of cars. In fact, some cars in the inventory are part of his personal collection, but he is always prepared to see them go to good homes, since this helps to perpetuate the appeal of such vehicles. Apart from catering to a select group of clientele, his business also means that past classic sports-cars can live on to do battle with new and younger owners, as opposed to ending their lives ignobly in a half-cut scrap yard up North. Most of his clientele grew from his pool of car-crazy friends, but today, even the relationships who started out as customers have slowly evolved into friendship, mainly because he insists on providing the personal touch to all transactions - a philosophy he constantly reinforces and instills in his band of loyal employees. In addition to the retail front and consignment business, Eurospeed Auto's in-house financing arm, Eurofinance, helps potential buyers realise their dream cars isn't beyond reach.